Ok, finally managed to get through the episode – it was worth waiting until I could get through it all with my daughter, as she sat totally transfixed in my lap to watch it. Overall, I enjoyed it. They have updated the show from the Sagan years with modern CG, and the graphics and music are lovely. It’s more basic than most adults with any kind of STEM enthusiasm or background need, but far more advanced than some really, really bad STEM-related shows in recent years (I’m looking at you and your oversimplification, The Planets). It’s not overly simplistic, but presented in a way that’s accessible to everyone, which is exactly the point of a mainstream science show. I think they found a nice balance – at least in the first episode. Also, I’m not going to complain at all that a science show is on Fox. I appreciate how great that is! It doesn’t begin to make up for canceling Firefly or any of their other terrible decisions, but it shows that maybe, just maybe, they’re taking a step in the right direction. So, on to the review, of the good, the bad, and the ugly. I liked the ‘cosmic address’ analogy that Neil deGrasse Tyson used to describe how to locate Earth in the Universe. It works for those who are used to mailing addresses, but also for the younger crowd who speak in IP addresses. DidI mention the graphics and music? Boy, we’ve come a long way in computer graphics and animation in the last few decades. Love it. They also did a great mix of what is clearly real satellite imagery (I recognized a few famous Hubble shots in there) and computer-generated. This is a very visually-appealing show. It can keep the interest of both an adult aerospace engineer and a 3-year-old. That’s a tough thing to pull off. My daughter’s main concerns where whether Neil de Grasse Tyson was harmed in the filming of the Big Bang scene, and what exactly happened to the dinosaurs. Luckily, she didn’t really understand the scene with The Inquisition. The ‘Cosmic Calendar’ they used to show the scale of the age of the universe was very well done. It really helped break something that enormous into chunks small enough to wrap the human brain around. The personal story of Neil deGrasse Tyson meeting and being inspired by Carl Sagan was also a very nice touch. Adding the current human interest element to stories that can sometimes feel impersonal – like the forming of galaxies and a long-ago story of an early astronomer – helps attract and keep a modern audience. 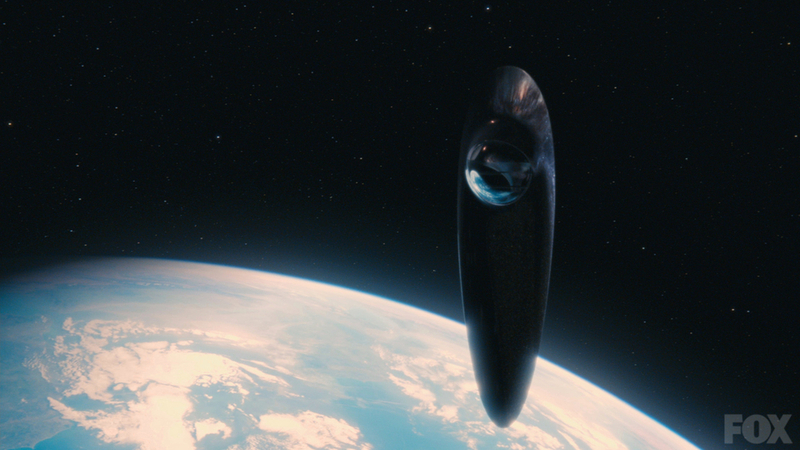 All that said, what was up with the weird little spaceship thing that flew around in a lot of the space scenes? It looks a lot like the a bottle opener I have. I also took issue with the ‘blowing clouds of cosmic dust’ or whatever that was supposed to be that Voyager seemed to be flying through – which is the kind of thing would have demolished the poor satellite decades ago. The weird cartoon of Bruno’s story with cheesy accents and creepy arrow-shooting cherubs. And then flying through space scenes with cape and hair waving in the wind. Just plain bizarre. Also, the whole thing was a little too drawn out and dramatized with the name-calling and book-throwing and flashes to shots of torture instruments. The good in this show far outweighed the bad. I like the new Cosmos, and I really, really hope it doesn’t become another reason I have to buy one of those “I’d rather be watching shows canceled by Fox” t-shirts. Fingers crossed. What did you think of it? How does it compare with your memories of the original? Will you continue to watch? Have you seen the new Cosmos yet? I haven’t, but I’m about to. And I’m pretty excited about it – if for no other reason than that there’s a science show on prime-time network TV. A remake of the show that made so very many of my generation love science and learning about the universe. 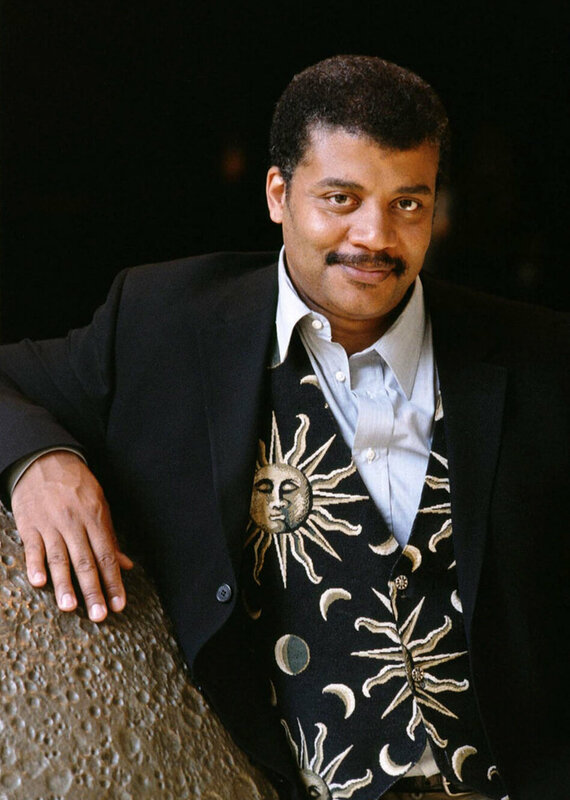 Also, Neil deGrasse Tyson = pure awesome. 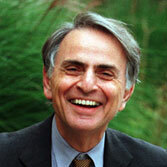 He’s not Carl Sagan, but if anyone can pull of redoing Cosmos, it’s him. As long as he doesn’t try to say billions and billions. No one can do that like Sagan. So I’m off to go watch it right now – it’s been a crazy week and we don’t get TV in our house that doesn’t come free from the internet, so this is my first opportunity. Stay tuned for my full review of it tomorrow. With spoilers! Share what you think about the new version in the comments, or favorite memories of the original.